Time: 5 – 6 H.
Private Service: 1 Pers. / 2 Pers. Pastoruri Glacier and Puya Raymondi is an full adventure day tour which offers a great opportunity for a close up view and contact of the Pastoruri glacier, located at 17,192ft / 5240m in altitude, you need to be well acclimatized before going (we recommend to spend at least a day in Huaraz first). 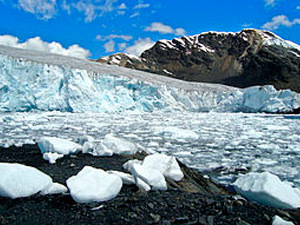 For many visitors, the contact with this glacier is a unique experience. Because it is one of the easiest snowcapped peaks to reach, it is a very well-known destination of the region located 80 km/south of Huaraz. 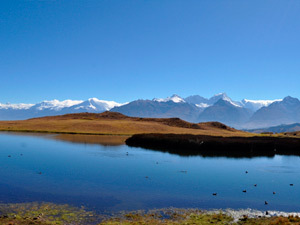 Wilkacocha lake at 3,700m. 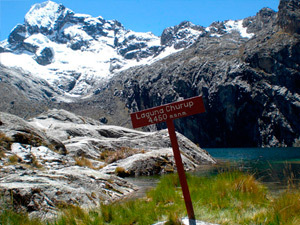 is located south of Huaraz beautiful lake in the Cordillera Negra Mountain Range, the hiking this place take half day is good for get acclimatization for beginners , along the trail we going to see the local quechua people , farmers people and from the wilcacocha lake we enjoy the beautiful mountains views of the Cordillera Blanca. 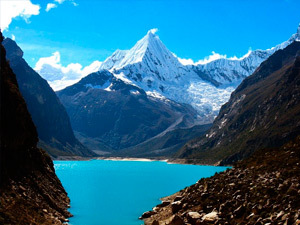 Paron lake is the largest lake in the Cordillera Blanca,32 km from the city of Caraz, at 4185 m asl, surrounded by several snow peaks. The lake, formed as a natural moraine reservoir, has an area of 44.3 km², 3.7 km long and average of 700 m width, the original depth was about 75 m, but today the level was lowered ca. 15 m to prevent the collapse of the moraine. The high concentrations of dissolved lime give the water of Paron a turquoise color.It's a popular day hike. We will see the next peaks artesonraju, paron, huandoy peaks, pisco and others. Llanganuco Lake the most beautiful lake ( Chinancocha & Orconcocha ) located between Huascaran Mount and Huandoy Mountain in the llanganuco valley . the 69 lake located below of the Chacraraju mountain Peak, are Amazing Beautiful and the most popular lakes. For the mountain biker the possibilities are unlimited. 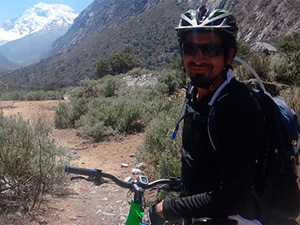 Huaraz is a mountain biker´s mecca, and with the addition of full-suspension bikes by Pedal Peru / Mountain Bike Adventures for 2007 we hope to take the experience to a new level. From town you can be on single track in ten minutes. With our guide services the possibilities increase tremendously. On one side of the valley lies the Cordillera Negra, a snowless range and on the other side the Cordillera Blanca and its looming peaks. 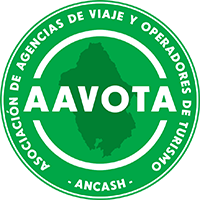 Bike touring is a treat for the incredible scenery and cultural exchanges as you pass through many Andean villages. Trekking and climbing are also two very popular pastimes that can be arranged by us. 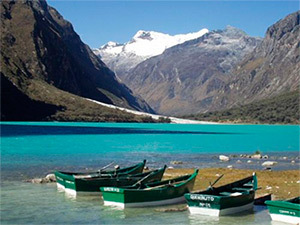 Huaraz is a great destination for the outdoor enthusiast and excellent place to mix with the Peruvian highlands culture.